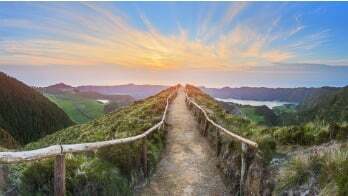 How do I know if my IRA plan is eligible for a QCD? What are the requirements? Distributions for this purpose can come from taxable distributions from an IRA (other than an ongoing SEP or SIMPLE IRA) that is paid directly from the IRA to a qualified charity. Keep in mind, it is only available for individuals age 70 ½ and over, and the distribution counts towards the account holder's Required Minimum Distributions (RMD) for the year. What kind of charities qualify for QCDs? The entity must be a 501(c)(3) organization meaning donations must be eligible for a tax deduction by the one donating. The IRS has a tax exempt entity search. Its available under the IRS website. Other entities such as private foundations and donor advised funds are not eligible for this tax benefit. How can QCDs affect my taxable income? Up to $100,000 of taxable retirement plan distributions, per tax payer, are exempt from taxes if the amount is donated directly to a charitable institution. What are the special tax reporting instructions for making a QCD? To report a qualified charitable distribution on your Form 1040 tax return, you generally report the full amount of the charitable distribution on the line for IRA distributions (typically line 15a). On the line (15b) for the taxable amount, enter zero if the full amount was a qualified charitable distribution. Enter "QCD" next to this line. See the Form 1040 instructions for additional information. The qualified charitable distribution was made from a Roth IRA. If coming from the Roth IRA, the amount does not go towards an individual’s RMD for the year and only the taxable earnings if any will do towards the QCD. How can I determine my estimated RMD for the year? You can ask for assistance from your current IRA custodian to calculate the amount for you. If you wish to calculate it yourself, the formula to calculate the amount is to divide your IRA’s prior year-end balance (e.g., December 31, 2017 FMV for 2018 RMD) by the multiple associated with your age as of your birthday found on the Uniform Lifetime Table. How can I make a one-time QCD from my IRA with Entrust? Account holders may do this, and it will be reported as a normal distribution on the IRS Form 1099-R which you will receive by January 31st following the year of distribution. You will need to handle the tax exemption of the distribution on your personal tax return. Making cash gifts to family members. In 2017, you may give up to $14,000 to an individual (double that if you file jointly) with no tax consequences. If you plan on taking a distribution from your IRA to make such a gift, the distributions are still subject to the same taxation rules associated with the IRA. Above that amount, you must file Form 709, the Gift Tax Return. Paying college tuition or medical expenses directly to an educational institution or medical facility on behalf of a family member. If you do this, the $14,000 limit does not apply. And you can still give that same family a cash gift. If coming from an IRA, the same taxation rules for IRA distribution still apply. Go ahead, give gifts for Christmas, Hanukkah, Kwanzaa, or just for the joy of giving. 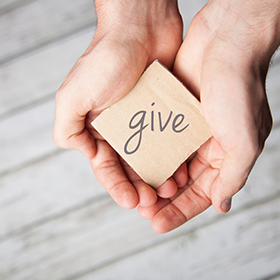 Then, plan your charitable contributions or the well-being of the larger community, with the understanding of how charitable giving can play to your own tax advantage. Here’s our gift to you: A FREE consultation with an Entrust professional to learn more about using a self-directed IRA to save for retirement and potentially save on taxes. Please note: The 2018 IRS Form 1040 is going through a revamp due to the changes in the tax cuts and Jobs Act changes. Find further information about QCDs, RMDs, and more the IRS website here.